Westlake Chemical Partners (NYSE: WLKP) is a limited partnership formed by Westlake Chemical Corporation to operate, acquire and develop ethylene production facilities and other qualified assets. Our business and operations are conducted through OpCo, a recently-formed partnership between Westlake Chemical Corporation and Westlake Chemical Partners. Assets include three ethylene production facilities in Calvert City, Kentucky, and Lake Charles, Louisiana, with an annual capacity of approximately 3.7 billion pounds and a 200-mile ethylene pipeline. Ethylene is a key building block used to produce a number of key derivatives, including polyethylene (“PE”) and polyvinyl chloride (“PVC”). These derivatives are used in a wide variety of end markets including packaging, construction and transportation, which in turn make life better for people every day. 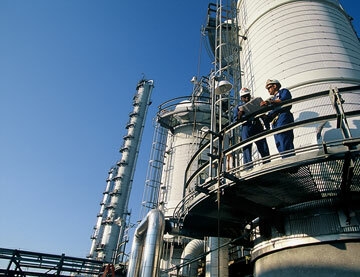 Like our parent company, Westlake, we are a quality manufacturer and dependable global supplier of ethylene. Our parent, Westlake Chemical Corporation, is a vertically integrated, international manufacturer and marketer of basic chemicals, polymers and fabricated building products. Westlake’s core values are at the heart of how we conduct our business and serve to guide us as we work to bring excellence to our communities and operations. Our commitment to quality products and service is so strong that both are symbolized as the two check marks that form the Westlake "W" in our logo. We seek to maintain this commitment through an intensive practice of "never-ending process of improvement".